With the launch of a new web tool, the European Commission is making it easier for for small and medium-sized enterprises (SMEs) to access state-of-the-art technological services across Europe. 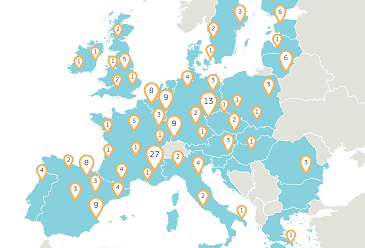 The tool allows SMEs to find technological service centres active in the field of Key Enabling Technologies (KETs). Such centres can help SMEs to speed up the commercialisation of their innovation ideas. Key Enabling Technologies (advanced manufacturing and materials, industrial biotechnology, micro-/nanoelectronics, photonics and nanotechnology) are game-changing technologies. KETs provide the basis for innovation in a wide range of advanced products and processes across all industrial (emerging and traditional) sectors. They are key drivers for a sustainable and competitive industry.